Enjoy owning your own custom wine cellar, right in your home or business, designed to your specifications. 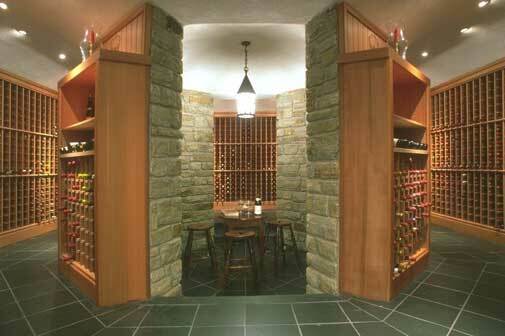 We can build your wine cellar from an existing room or closet, or build a custom addition. We supply and install a complete climate control system. We will take care of all details or assist you in designing your one-of-a-kind wine cellar. Choose from many types of interior finishes, flooring, wall coverings, type of ceiling design, doors, and wine racks. There are no size limits. We can build your dream cellar, from a coat closet to a warehouse.